Awnings are a great accessory to have on your RV. A patio awning extends the living area of our outdoor world. Similar to the front porch of your home, the patio awning provides us with shade and cover from a light rain when we want to enjoy the great outdoors. 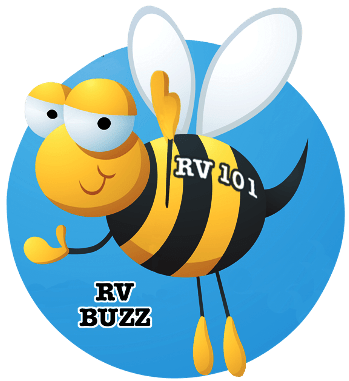 1) Never leave your RV awning out for any period of time when you are away from the campsite. A quick wind storm or thunder storm can result in expensive repair costs to the awning and the RV. If the wind begins to pick up at the campground put your awning in the stored position. Better safe than sorry. 2) If your awning is rolled out and it begins to rain lower one end to allow the water to run-off. Water can quickly pool up in the center of the awning fabric and the weight can damage the awning and/or awning fabric. 3) When cleaning your awning use a commercial RV awning cleaner. Spray the cleaner thoroughly on the awning fabric, roll it up and let it sit for several minutes. This helps to distribute the cleaner over the entire surface of the awning fabric and allows the cleaner time to work. Open the awning and thoroughly rinse both sides of the fabric. 4) For the most part there are two types of awning fabrics, acrylic or vinyl. Acrylic fabric is a woven cloth. Avoid scrubbing acrylic awning fabric. Scrubbing can remove the water retardant finish. For stubborn stains blot the cleaner on the fabric with a sponge or soft cloth. 5) Use awning tie downs help protect your patio awning. I mentioned a moment ago a strong gust of wind can damage your RV awning very quickly and it can be expensive to repair. 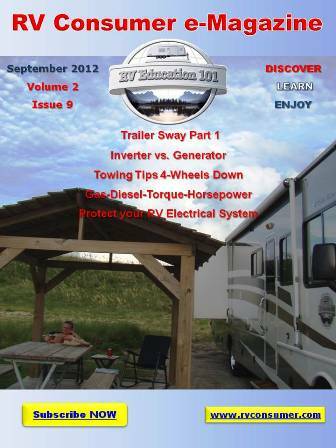 Awning tie downs can prevent this from happening to your RV awning.